February is one of our favorite months for RVing here at CCRV in South Texas. The crowds are few, the temperatures are mild and the snowbird season is in full swing. Even better, we have a number of new RV parts, accessories and camping supplies in stock at our CCRV online parts store this February, and the following are just a few of our many favorites. Spring cleaning time is right around the corner, and this luxurious, convenient and compact Intervac Roadvac vacuum will make your RV cleaning experience easier than ever before. The kit is designed to be flush or surface mounted and includes 40 feet of hose, a rug/floor tool, upholstery tool, dust brush, crevice tool, rotary turbo head, mesh storage bag, two high capacity dust bags and numerous other accessories to help keep your RV in top condition. If you’re going a little stir crazy in the colder weather this winter, you’ll love this magnetic dart board by Prime Products. Get the whole family involved in a game of darts inside on a cool day or play outside on a warm one with this lightweight and easy-to-store board. Six magnetic-tip darts are included in the box. All awnings show wear and tear over time, but even if your RV awning looks like it’s in rough shape, you may not need to spend big bucks on a brand new one. This Carefree of Colorado replacement awning fabric can be purchased in a number of sizes, and the two-piece construction fits most vertical arm awnings. The heavy-duty material comes with vinyl Weatherguard, so your awning will last even longer and look great the entire time. Whether you’re searching for cleaning supplies, outdoor furniture, upgraded appliances or any number of RV parts and accessories, it’s likely we have them available right here at our CCRV online parts store. The store is open 24 hours a day, seven days a week, so log online and find the RV supplies you need today. 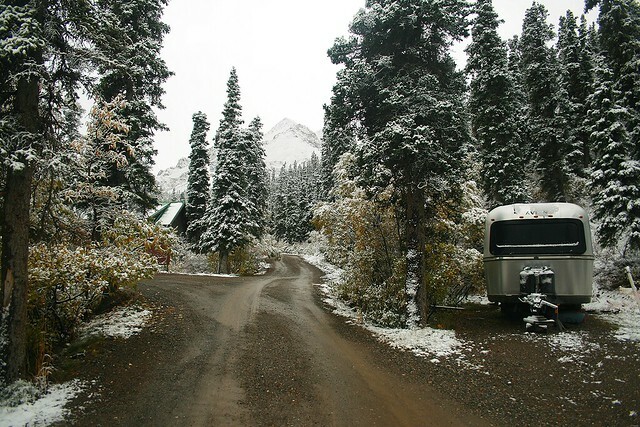 Colder temperatures and often undesirable road conditions make the winter RV season much different than the summer one. Fortunately, we’re ready for all of the changes the season brings here at CCRV in Corpus Christi. 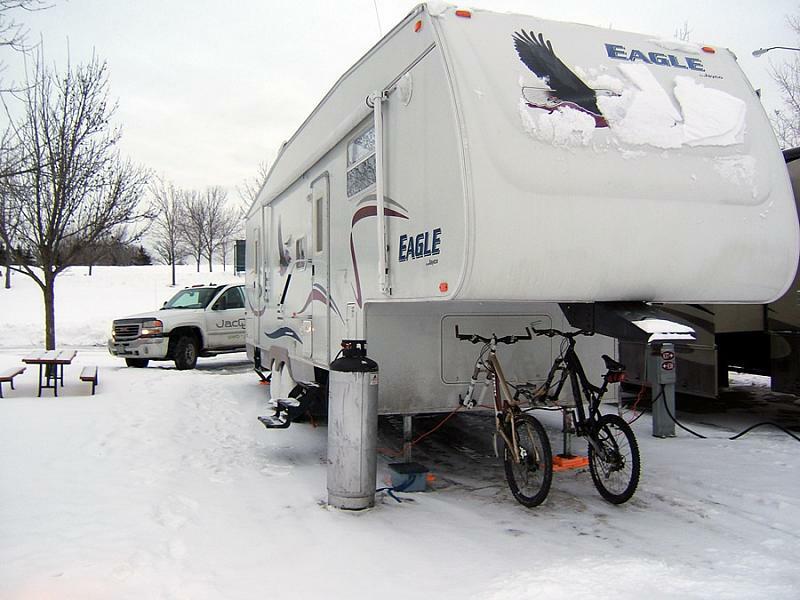 Our online parts store is filled with all of the RV accessories and camping supplies you need to enjoy your RV lifestyle, no matter what the weather brings. The affordable, safe and very effective Big Heat portable heater by Broan-Nutone LLC., is perfect for those cold winter nights in your RV. This 1500 Watt heater provides more heat than similar 120 Volt heaters, and it offers security features like an over heat shut off and automatic tip-over switch. If you’ve been interested in a space heater but are worried about the safety of these items, this Big Heat portable heater is the answer. This 32-ounce cleaner is exactly what you need to clear off the road grime you’ve collected on your winter travels. Protect All’s All-Surface Care is great for use on gel-coating, aluminum, chrome, vinyl, glass, stainless steel, fiberglass and a number of other materials, so you don’t need to crowd your much-needed storage space with multiple cleaners. If there’s one item you need to enjoy peace of mind on the roads this season, its the TireMinder wireless tire pressure monitoring system by Minder Research Corp. This product is designed specifically for RVs, and it’s geared to keep you save while helping you save on gas. This monitoring system can handle 22 tires at any time, whether they’re on a trailer, motorhome or even a towed vehicle. The TireMinder is the ultimate RV safety tool, designed to warn you about a problem before it happens. All of these top RV supplies and tons of others are available online twenty four hours a day at our CCRV online parts store. Log online or stop in and see us in Corpus Christi, Texas, for all of your RV needs. Whether you’re in need of the perfect gift or a handful of stocking stuffers, there’s no better place to grab all of the holiday gifts you need than CCRV. The following are some of our favorite RV accessories of the season, but be sure to shop our online parts store or stop in and see us in Corpus Christi to browse our on-site parts department. The Garmin RV 760LMT does things other navigation systems just can’t do. This Garmin offers detailed maps that are tailored to fit your RV’s size and weight. It even includes a directory to RV parks, campgrounds and services that are tailored to fit your preferences. Kids and adults will both have fun at the campsite with the Disc Master. This portable disc golf game is easy to set up anywhere, so you can turn the beach, the mountains or your campground into the perfect disc golf course. Get your favorite kayaker Swagman/Danik’s Roof Mount Kayak Rack, and they’ll never have to leave their kayak behind again. This heavy-duty, powder-coated steel rack includes built-in pads to keep your kayak safe and secure on all types of roads. Living Aboard Your RV, has been the go-to book for RV lifers since the 1980s. The book includes everything you need to know about living in your RV from banking concerns to electronic communication, costs, the latest trends, homeschooling and tons more. If you or someone you know is considering living in their RV, this gift will continue giving year after year. The CCRV online parts store has everything from technical RV parts to cleaners, games, books, furniture, camping supplies and everything else you need to enjoy your life on the road. Log onto our website, give us a call or stop in and see us to find out more about CCRV and all we have to offer. Whether you’re a snowbird traveling south or an RV enthusiast up north braving the cold, winter requires a different set of RV accessories than all other seasons. Fortunately, CCRV has you covered with all of the latest and greatest RV accessories for storing your RV or preparing it for a southbound adventure. The following are some of the top RV accessories for the upcoming season, but don’t forget to log onto our website or stop in and see us in Corpus Christi for all of your winter RV needs. Unfortunately not all RV enthusiasts are able to travel to warmer climates for the winter, and for those who don’t, these ADCO Products Designer RV covers are the best protection for a season off the road. The weighted straps and buckles make them easy to install, and the three-layer polypropylene sides provide durability as well as breathability. When you buy an ADCO cover, you know your fifth wheel, motorhome, travel trailer, toy hauler or pop-up camper will be prepared for whatever the weather can throw at it. For those who will be spending the winter where the weather is warm, a new piece of outdoor RV furniture can be the perfect holiday gift. This Coghlan’s Double Hammock puts patio chairs to shame with superior comfort, durability and portability. Even better, this design is able to hold two adults comfortably, so you won’t have to fight over hammock time. As the days get shorter and the nights grow longer, it’s important to have a powerful porch light for spending time outside at the campsite with friends. This Thin Lite Fluorescent Porch Light provides twice the brightness of other porch lights while drawing less electricity. Its weatherproof design with an amber lens that doesn’t attract mosquitoes makes it an ever better purchase for the winter travel season. Don’t forget to log on to CCRV’s online parts store 24 hours a day, seven days a week to browse our huge selection of RV parts and camping supplies. 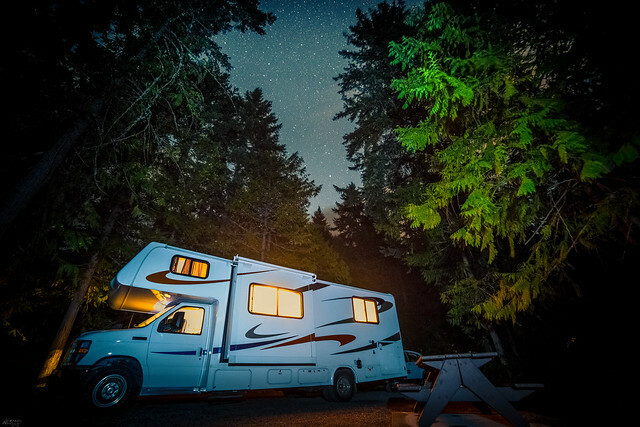 The cooler temperatures and shorter days of fall mean you need different RV supplies to enjoy your experience at the campsite and on the road. These are some of our favorite products from the CCRV online store that will make your fall travels better than ever before. This LED light strip by Facteon is one of the best accessories you can get for those fall nights at the campground. When the sun starts to set earlier, this light strip with remote can provide all of the light you need. This 16-foot lights trip allows you to choose from 16 colors and special effects like fade, strobe, and flash. And you’ll love that your new lights are battery powered, so you can take them anywhere. These Camco firestarter sticks may not be one of our most expensive RV products, but you’ll love them on a cool fall evening. Start every fire quickly and safely even when its windy or rainy. This 12 pack of sticks can be tossed in your RV kitchen drawer or in your pocket if you’re out adventuring. Have you ever wanted to take your campfire with you? Camco’s Big Red Portable Campfire tops campground restrictions again in-ground fires. You can take this campfire tailgating, to the beach, or over to your friend’s campground for an evening outside. Realistic log pieces, security latches, and a propane hose make this campfire perfect for all types of outdoor situations. If you’ve ever traveled with a pet, you know how valuable a spill-proof pet dish can be on the road. This spill-proof dish by Valterra Products keeps all of your pet’s food or drink in one place, no matter where the road takes you. Even better, you can toss this dish in your dishwasher when you arrive at your destination. There’s no better place to get all of your fall RV supplies than at CCRV — your No. 1 South Texas RV dealer. And if you can’t get down to CCRV during our store hours, you can shop our online RV store 24 hours a day, seven days a week. While you may be familiar with CCRV as the top place in south Texas to buy new and used RVs, you may not know all of the other RV services we offer. With a top-end service center and a massive parts and accessories store, you can outfit your entire RV lifestyle right here in one place. The following are some of our favorite RV accessories and camping supplies for fall, so you can continue to enjoy your life on the road beyond the dog days of summer. It’s football season, and that means it’s time to fire up the grill and watch some games. The Olympian 6500 is the best grill Olympian has on offer with full-size, residential-style grilling power in a size that’s perfect for your RV lifestyle. The removable warming rack, push-buttom igniter, built-in thermometer, grease tray and numerous other features will help make your cooking experience enjoyable every time. A patio mat is one of those RV accessories that you often forget until you set up at a campsite. And the Dura-Mat is the most durable mat on the market. It lets water and dirt filter through, so you enjoy a rugged style that stays clean all of the time. The woven fabric design means you can take your Dura-Mat to destination after destination, year after year. Outdoor lighting is important when enjoying those long evenings at the campsite, and a solar rope light can provide the perfect atmosphere without using up electricity. This 18-foot rope is available with clear or blue lights and can toggle between on, off and blinking options. It fits perfectly in the Valterra Rope Light Trak, so you can attach it to your awning when needed. Whether you’re interested in upgrading kitchen, living room, bathroom, bedroom or the exterior of your RV, CCRV has all of the supplies you need to live the perfect RV lifestyle. Stop in and see us in Corpus Christi or shop our online parts store 24 hours a day, seven days a week. Natural Room Scent for the Holidays! If you’re out at a campground in your used Corpus Christi RV, you’re surrounded by nature. You don’t want the experience of that refreshing environment marred by the smell of “fragrant” chemicals while in your CCRV RV. Yes, I’m talking about air fresheners. Did you know that air fresheners have some harmful ingredients? So put away your store-bought air fresheners and odor eliminators! We’ve got a taste of nature for your new south Texas travel trailer, with this do-it-yourself (and completely chemical free) room scent. Although this scent can be tailored to become an original mix, it has a few basic, all-natural ingredients. These basic items can already be found in your home/RV or can be bought at the nearest grocery store. Citrus: These fruits are best for releasing scents of freshness. They are sturdy, long-lasting, and give a crisp and fresh scent. Oranges and lemons are best. Spices: Whole cinnamon sticks or ground cinnamon may be used. Allspice, ground nutmeg, ground ginger and whole cloves also add flavor of the holidays. Pine/Cedar twigs or needles: These can conveniently be found around your campground! Bring the fresh scents of the outdoors into your RV! Extracts: Vanilla or almond extract will improve most room fragrance mixtures. Whole vanilla beans are also astonishingly fragrant. Very little should be used. These ingredients should be placed in a small pot ½ filled with water and boiled. The aromatic scent will quickly fill your entire South Texas RV! After boiling, if you want a more subdued feel, then you can easily warm the air freshener with a mini slow-cooker, a fondue pot, mug warmer, candle warmer, or tea pot warmer. This method can also be used with fresh ingredients in the summer or spring! 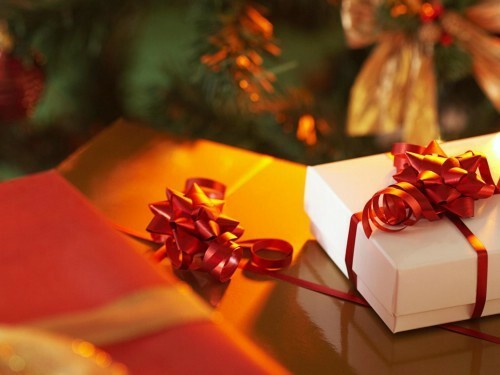 What scents do you enjoy during the holidays? What other ways do you create a fresh environment? When you purchase a new RV from a Texas RV dealer, it usually has air conditioning. If you buy one of the used RVs for sale, it may or may not have air conditioning, depending on the type of RV and the age. If an RV has air conditioning, it’s a simple matter of keeping cool, as long as you have a generator or power hookup at a campsite. It’s when you don’t have a generator or power hookup that you might run into problems keeping cool. If you have an air conditioning unit, you can use a generator to operate it, even if the RV doesn’t come with a generator. Locate the wattage and amps for your air conditioning unit. If you can’t find a label on the unit or don’t have an owner’s manual, a Texas RV dealer that offers service and parts should be able to help you. Cooking outside, whether you have an outdoor kitchen or are using a barbecue grill will also help keep the RV cooler. You can purchase a portable generator — some even come on wheels. Make sure the running wattage of the generator is higher than the wattage required to turn the air compressor on. If you don’t, when the compressor cycles, it will bog down the generator or shut it off completely. You could also risk an electrical fire if the compressor overheats. When you set up camp, you should have a cover for the generator — it cannot be a tight cover, so use a cover that is at least a foot wider, deeper and taller than the generator, and make sure it has air vents. If you don’t have an air conditioning unit, you can use fans, as long as you have the RV hooked up to power. Also, opening all the windows and roof vents helps air circulate and not become stagnant. With a small wind, the RV will be cooler than it is outside. Alternatively, you can purchase portable air conditioners. If you don’t have anything except battery power, a cooler air conditioner will cool a smaller RV. The unit sits on top of a cooler filled with ice and works off battery power. You could also purchase a converter to use regular power. If you have any questions on how to keep your RV cool, or need to upgrade your unit, make sure to give CCRV a call! A generation ago, stocking your motorhome kitchen meant lots and lots of Tupperware, sealable plastic bags and aluminum foil. There’s still a need for some of these items, but technology and demand by campers like you have resulted in kitchen items designed specifically for use while camping and taking up minimal space during storage. This allows you to cook and use your kitchen to its fullest functionality, not skipping favorite recipes because you don’t have the space to carry items necessary to prepare them. South Texas dealer RV dealer CCRV understands this and stocks a full line of space-saving kitchenware for all your cooking needs. Start your dinner preparation with a Collapsible Scrap Bin & Cutting Board. Attached, the scrap bin keeps the cutting board flush against the counter as you slice and dice. Detached, it collapses flat after cleaning for easy storage. Rinse your chopped vegetables in your Collapsible Colander Blue and, after shaking gently to remove extra water, pour your freshly chopped and rinsed veggies into your Collapsible Bowl Blue where you can add a marinade. Measure out the secret ingredients for your favorite marinade with your Collapsible Measuring Cups, cover the dish and set aside to flavor. In the meantime, let’s clean up the items we’ve used so far. Pull out your Collapsible Dish Drainer Gray to hold the cleaned and rinsed cutting board, colander and measuring cups. Finish your clean up by sweeping up the floor area with your StorMate Collapsible Broom/Dustpan. You can prepare the salad early by pulling out your Collapsible Salad Spinner to clean and rinse your produce of excess water. After cleaning, pour your cleaned salad greens into your 4-quart Collapsible Produce Keeper, especially designed not only to collapse completely, but incrementally, according to the amount you need to store. Your new camper-designed kitchenware will make dinner clean up and storage easy. Use a Collapsible Tub Gray or even a 3-piece Collapsible Prep Bowl Set with lids to store your leftovers. All pieces are dishwasher safe. Enjoy cooking again in your camping adventures!